Quit Ad Blocking Me Bro! Ad Blocking Tools Are on the Rise. What Countermeasures Can Marketers Use to Still Reach Consumers? Ad blocking is a loaded term. On the one hand, users who feel bombarded by the flood of marketing messages should be able to control their own user experience. But if you’ve ever used ad blocking tools, they have some substantial drawbacks. They tend to block out everything that comes to your device, such as instant messaging programs connecting to customer service, retail shopping carts, or flight booking engines. A report published in 2015, found that publishers anticipating losing an estimated $35 billion a year to ad blocking. So where do we go from here? Let’s gain a better understanding of who currently uses ad blocking technology and what advertisers can do to win over these users. Ad blocker users make up approximately one-third of all internet users in the U.S. According to a 2016 IAB report, 26 percent of desktop users and 15 percent of mobile consumers use ad blockers to remove ads from publishers’ websites. The two largest age groups include user ages 16-24 (20 percent) and 25-34 (20 percent), with men making up the majority of all ad blockers. Around 40 percent of adblock users confuse the technology with antivirus and internet browsing security. Ad blockers add an additional layer of security against malicious attacks, but they can’t prevent all viruses, such as attacks sent via emails. Plus, have males’ more frequent use of ad blockers disconnect them from our connected world? A 2014 article in Forbes spelled out the influence of women in the U.S. and global economy. They write, “Women are the gatekeepers in most families, controlling 70% of global consumer spending. Women farmers produce 60% to 80% of the food in developing countries, and women own 60% of all global microenterprises. In the U.S., women are entrepreneurs: According to American Express, between 1997 and 2013, the number of women-owned firms grew at 1.5 times the rate of the national average. Is a generation of U.S. men disenfranchising themselves by blocking marketing messages? 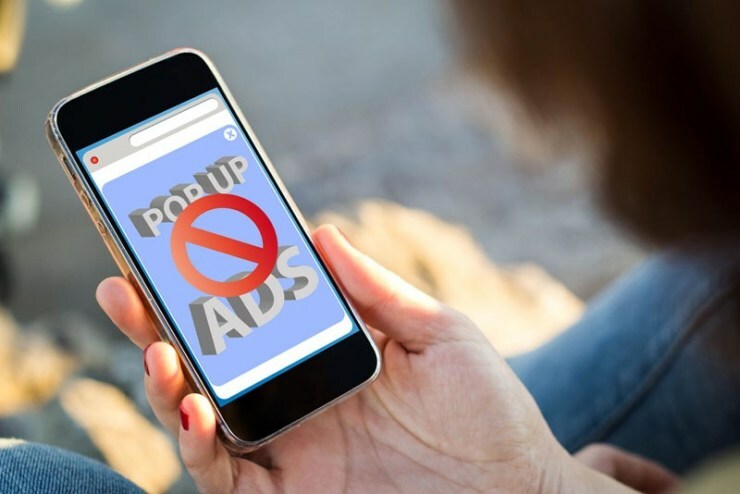 A study published by IAB with C3Research, found that the top reasons that users were using ad blocking technology is because, users are generally tired of pop-up ads, believing that sites are easier to navigate with ad blocking tools installed. As more content has moved online, guidelines regulating the amount of digital advertising have not kept pace. Have online users reached a tipping point? Are they inundated with too many ads? Marketers should be concerned about ad blocking, but all hope is not lost. A report published on why people hate ads found that eighty-two percent of users feel autoplay video ads are intrusive. Data mining does not need a video to run to completion. An digital ad isn’t less effective if you can skip through it. Sixty-three percent of people think that online ads lack professional standards. Consumers want an experience similar to the way they already interact with brands. This means creating more visual content that tells a story first instead of just promoting a product or service. Gaining users’ trust is just as important as making sure that the content reaching your consumer base is received with engagement. Seventy-nine percent of users feel like they’re being tracked. Advertisers may want to invest more time and effort into ensuring that their programmatic algorithms are smarter at retargeting. Additionally, one of the simplest and responsible actions that be taken to win over consumers’ trust is by offering the option to filter ads. Doing this will clear up security concerns that often influence users to mistakenly choose to install ad-blocking software instead of virus-protection software. Doing this will also make users feel like they are receiving the ads they want and not being targeted by ads they don’t want.